A full service prosthetics clinic, providing a complete choice of artificial limbs for amputees. Located within the Polyclinic Professional Centre. Offers home care solutions and services such as nursing, personal care, home support, companionship, serious injury home care, and pediatric home care. "Respite Care Services" provide comprehensive assistance tailored to individual needs. Red Cross also loans standard and specialized equipment such as canes, crutches, wheelchairs, bath seats, and commodes (limited to Queens County). The equipment is loaned on a short-term basis, free. The mandate of Richmond Centre, as well as the other Community Mental Health locations across PEI, is to provide a broad range of community- based counseling to individuals, families, groups, and communities. The mental health teams are established under a multi-disciplinary model with professionals from the disciplines of nursing, psychology, social work, and psychiatry. Offers the free loan of specialized equipment, short-term, for persons with a disability. 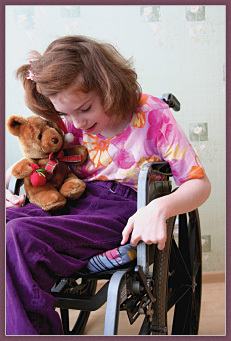 Delivers individualized attention and innovative and custom solutions to persons with disabilities. Has a complete selection of incontinence supplies, first aid supplies, wheelchairs, walkers, canes, etc. Free delivery is available. The premier Pediatric Rehabilitation service in Halifax, Nova Scotia, for children and youth. Go to the website, select "Care Services" button on top navigational bar, scroll down the list to click on the "Recreation Therapy" hotlink. Select the "Leisure For Me" button on the left-hand navigational list - this PDF has information on travel, adaptive equipment, organizations, and health tips for families. Carries a broad range of the proper products and related services for persons with mobility impairment. Staffed with knowledgeable sales and service personnel who offer in store and in-home equipment assessments and service repair, or installation or rental of their products. A complete selection of incontinence and first aid supplies, wheelchairs, walkers, canes, etc. Free delivery. Provides residential and non-residential treatment for chemically dependent persons and their families in locations across PEI. Committed to a 12-Step philosophy and mutual support systems to assist clients and families in ongoing recovery. Provides public health services, primary care, acute care, community hospital, and continuing care services to Islanders to help ensure their optimal health. Provides health care and support services including assessment, care coordination, nursing, personal care, respite, occupational and physical therapies, adult protection, integrated palliative care, community-based dialysis, assessment for nursing home admission, and community support services. The governing body responsible for regulating the practice of occupational therapy in PEI, and protecting public interest by reviewing applicants. Maintains a list of currently registered OTs. The Restorative Care Unit offers a team approach to patient care where both the emotional and physical aspects of illness are considered. The patient, family, and team work together to achieve the best possible outcomes. General Visiting Hours: 11:00 a.m. - 1:00 p.m. and 2:30 p.m. - 8:00 p.m. The Provincial Rehabilitation Unit (Unit 7) is a specialized, 20-bed unit, staffed by an interdisciplinary team including nurses, physicians, physiotherapists, occupational therapists, prosthetics and orthotics specialists, nutrition services, volunteer services, speech-language pathologists, and social workers. Physical Medicine and Rehabilitation, also know as Physiatry, is the medical specialty responsible for overseeing the treatment of patients with a wide range of disabilities. Other services available in the Physical Medicine Department include a "Seating Clinic" available by self-referral and a "Wound Care Clinic" by physician referral. General Visiting Hours: 11:30 a.m. - 1:30 p.m. and 2:30 - 8:30 p.m.
A selection of products such as wheelchairs, canes, ramps, adjustable beds, and more to assist persons with disabilities. Works with the customer to create a personalized vehicle that will meet mobility needs. A diverse selection of mobility products that come from distinct companies such as VMI, Ricon, and Bruno Braun. Provides unique "push rock" acclaimed style of driving "push forward for brake, rock back for acceleration" promoted by the National Mobility Equipment Dealers Association (NMEDA) as the fourth recognized style of driving for the disabled under nationally recognized terminologies. Toronto Rehab’s Spinal Cord Rehabilitation Program is housed in the Lyndhurst Centre, one of Toronto Rehab’s six centres across Toronto. It is the longest-running rehab program in North America for people with traumatic spinal cord injuries and non-traumatic diseases of the spinal cord. It is also Canada’s largest inpatient program. Toronto Rehab has an unparalleled wealth of experience helping patients with spinal cord injuries to rebuild their skills and lives. Individuals are referred from doctors from acute care hospitals across Ontario, across Canada, and around the world. Providing home care programs to persons with disabilities, including: 24-hour live-in care, homemaking and meal preparation, infant and childcare, personal care including specialized foot-care, and services directly related to specific disabilities.